A comment came in yesterday that the quality of names is going down on the drop lists. Of course it is. If you are looking for dot com then you have to expect the quality of dropped names to go down with time. 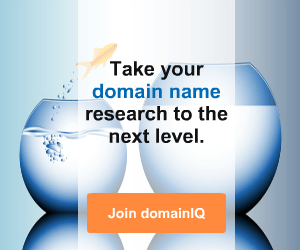 Every year domains go into real use and every year users realize the value of domain names. That leaves less and less names going to the drops. Godaddy has been able to keep the quality up the last few years by adding 3rd party registries to their list but at some point there won’t be anything to add. The last few years were also helped by a surge in crypto and cannabis. A surge that caught some off guard and let some timely names flow through that had good value at the time. That’s settled a bit and we haven’t had any new trend push up the value of names deemed ordinary in the past. Ladies and gentleman, filling the portfolio is going to get more and more expensive as time goes by. 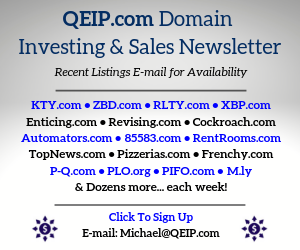 Price your domains accordingly. I do think there are plenty of good names yet to buy on the drops but we’re all now competing for the same 100 per day. Especially at Godaddy. I do think a few slip through at the smaller registries but not enough to give anyone an advantage. The advantage right now is building a portfolio at 10 years ago pricing and selling at 2019 pricing. In return, having more money to refill the portfolio. But don’t expect it to get any easier. The comment also said we are wasting our time. I highly disagree with that. Even the crumbs are worth thousand of dollars. If you watched Paul Nicks’ talk at NamesCon you’ll see that there is plenty of opportunity to make money on the Godaddy Auctions to Afternic margin. Just have to figure out which names sell at Afternic. 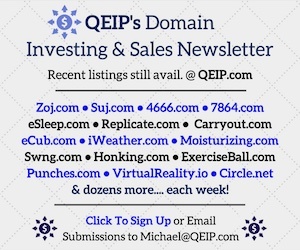 That’s the art of Domain Investing. Here are today’s names. Make sure to click on the names to see the current price and to help DSAD continue writing each day. The drop lists are getting worse because Goaddy is trying to make the drop less important by signing deals with registrars around the world to funnel their expired inventory through Godaddy’s auction platform. 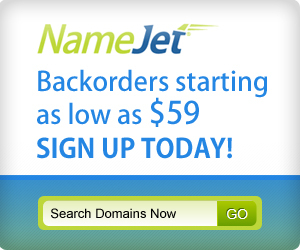 There, buyers have to pay market values instead of being able to pick them up via backorders or reg fee once they drop, so Godaddy’s move (and other platforms) will raise prices for domain investors as they bid against each other for decent names. Naturally, Paul Nicks will tell you that you need to pay more for your domains in order to sell them for more because that is how Godaddy’s expired domains platform model makes its money. Things are more expensive for domainers and Godaddy is keeping that a big chunk of that money. True, this is potentially just shifting sales from backorder services like Dropcatch to expired domain platforms like Godaddy as you say. But there is no data to confirm this so we don’t really know. 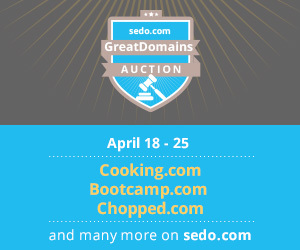 We can only guess how many domains that would have gotten through to the drop are now scooped into Godaddy’s hyperbidding platform, pushing purchase prices up. Further, not every dropped name goes to Dropcatch and there are other backorder services that do not have public auctions, which is what really pumps up prices. 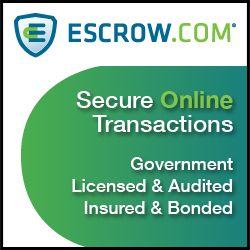 Once a domain with bids gets eyeballs, the price goes up. Plenty of people sit on Godaddy expired auctions with a filter that shows all domains receiving a bid and then it’s off to the races. So Godaddy may be keeping just 15% (btw are you sure about that 15% or is it more like 50%) but the 15% is on a pumped up sale price per domain. 15% on an automated platform, all day, everyday is a great business. I am not sure why people thing that is a small commission, commissions are usually sub 10% in most industries. I would say smart money would sell today, and hold those dollars to spend another day. I don’t know these bidders some legit, some chasing, but it is creating the perfect storm that will push end users in another direction, and make those buyers long term holders. It looks like TurnCommerce dominates the automated bidding uptick on godaddy, as well as controls dropcatch, which has yet another shill bidding incident this week again with bizcoin.com. I don’t trust the exchanges fully, I feel an audit would result in tens of millions being returned to bidders, as it’s not the winning bids, but the losing bids by eventually suspended buyers that actually win that rwally hurt.